Recent research has repeatedly confirmed that it is not the technique nor the theory, but the interaction between therapists and clients that creates change in clients. This practical guide outlines the ways in which psychotherapists can find new methods of moving their therapy sessions toward dynamic, healing interactions by shifting away from an overreliance on techniques and theories. 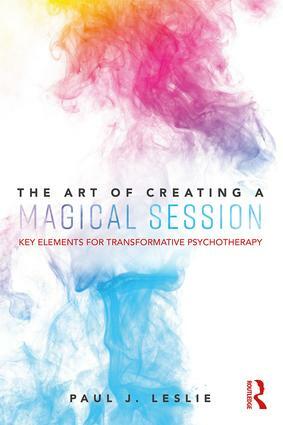 The Art of Creating a Magical Session discusses the key elements needed to create the interaction conditions for transformational therapeutic change to occur. Using a conceptual approach to client transformation, the book draws from a diverse range of sources including indigenous traditions and rituals, as well as the latest research on the common factors that contribute to success in the therapy room. Each chapter focuses on educating and inspiring mental health professionals to easily adapt and apply creative and resourceful approaches to help their own clients begin inner transformations. With case studies and narratives woven throughout, this accessible guide will support mental health practitioners as they approach their practice in new ways and achieve deeper, and more magical, therapy sessions. It will be valuable reading for psychotherapists, psychologists, social workers and counselors. What Is a Magical Session?